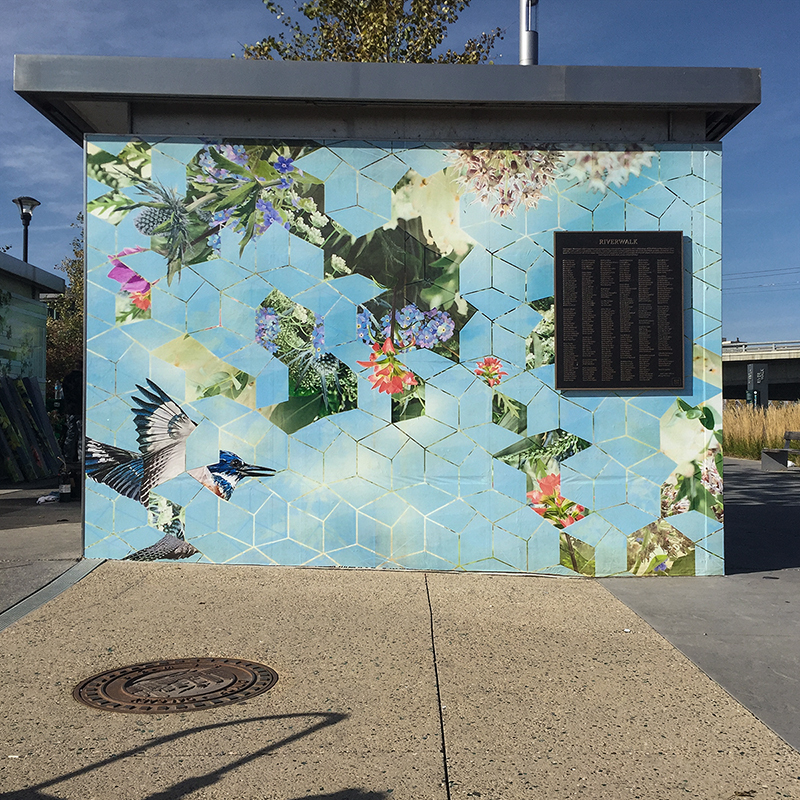 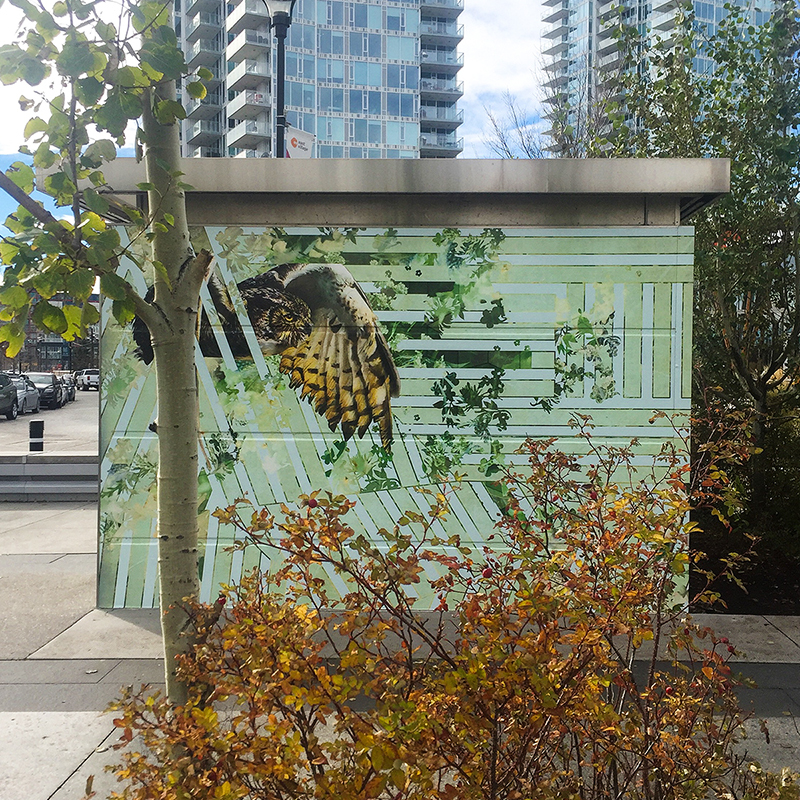 This mural project consists of nine separate installations and pays tribute to the animals and natural spaces weaved throughout Calgary’s urban environment, its proximity to them and how this communion elevates the culture and spirit of the city's communities. 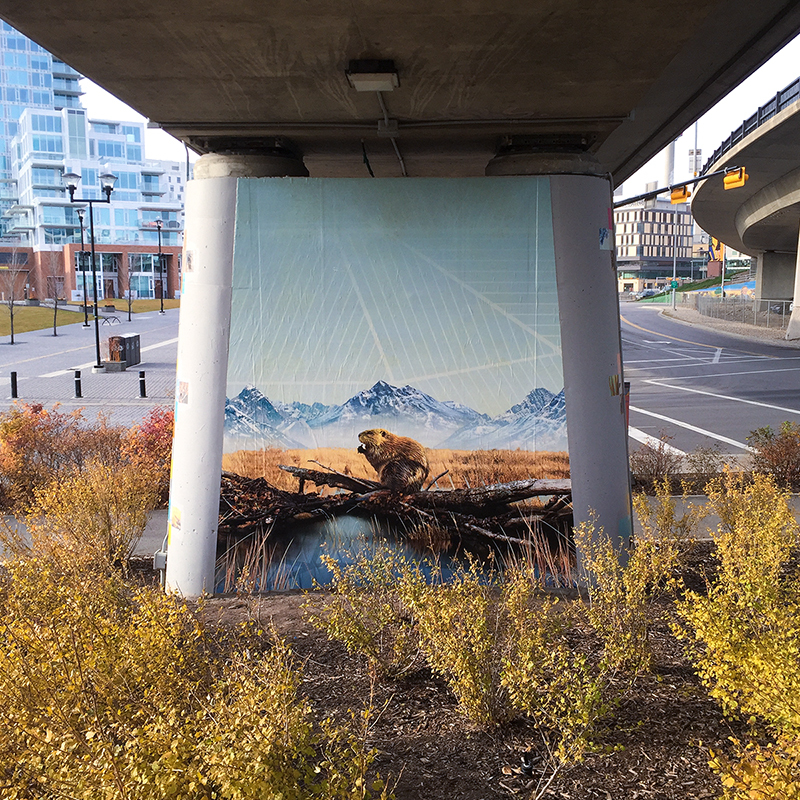 Through the series of nine paintings mixed with digital photography, I set out to create an immersive large scale representation of wildlife at play within these natural/urban landscapes announcing that true nature is not only designated to protected parks and sanctuaries hundreds of kilometers away, it exists all around us. 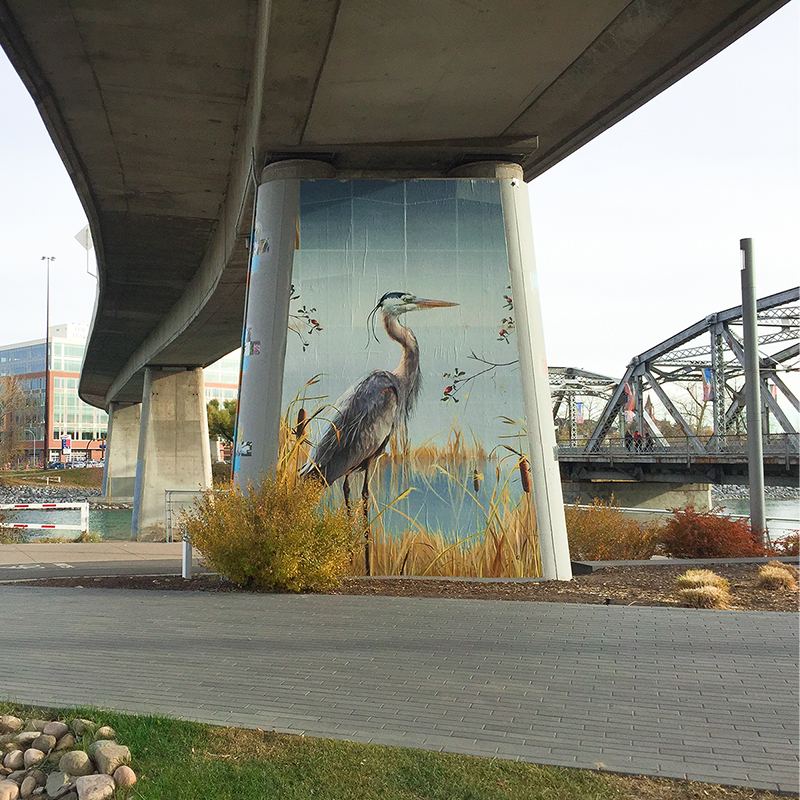 These murals can be seen in Calgary's East Village along the river pathways on the bridge abutments. 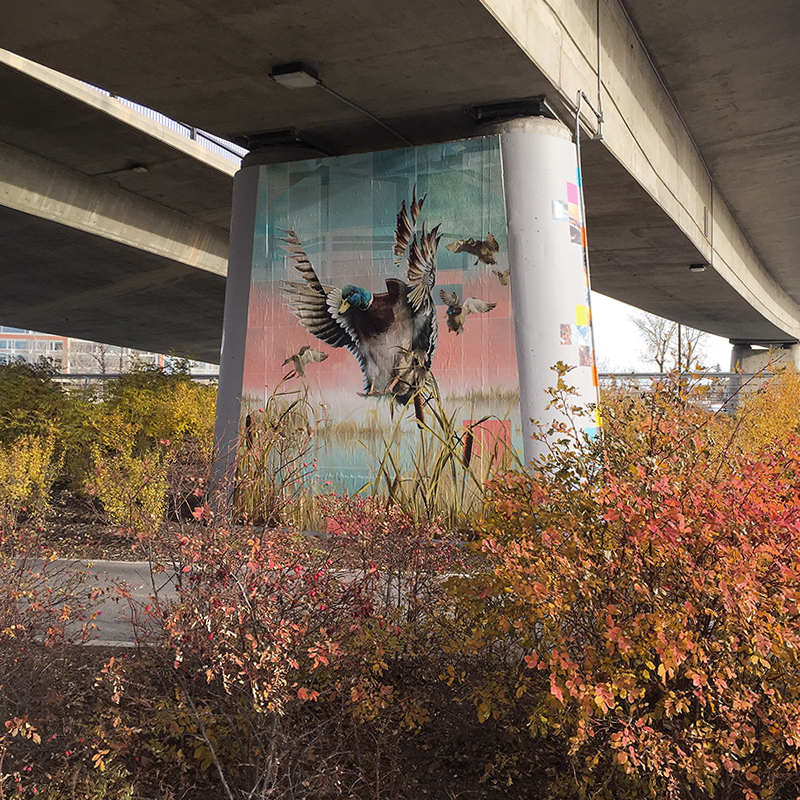 The artwork is a temporary installation and will remain up from Fall 2016 - Summer 2019.